Above the cover underneath the cap is the Lightning connector, which charges the Apple Pencil digital pen. Another element, which is easy to detach, is the tip of the pen. "Warm conversation" with the firm "warmer" iOpener did not give the desired result and the connector Lightning had to be taken by force. 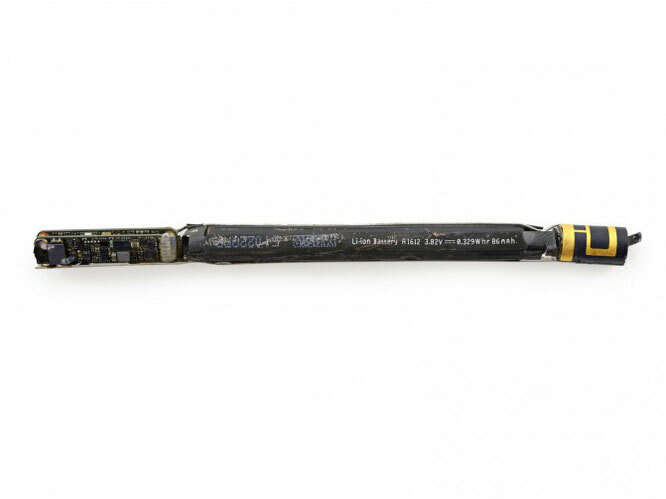 Eventually, iFixit specialists managed to disconnect the Eraser connector from the Apple Pencil pen with the price of a flexible cable that was connected to the connector. 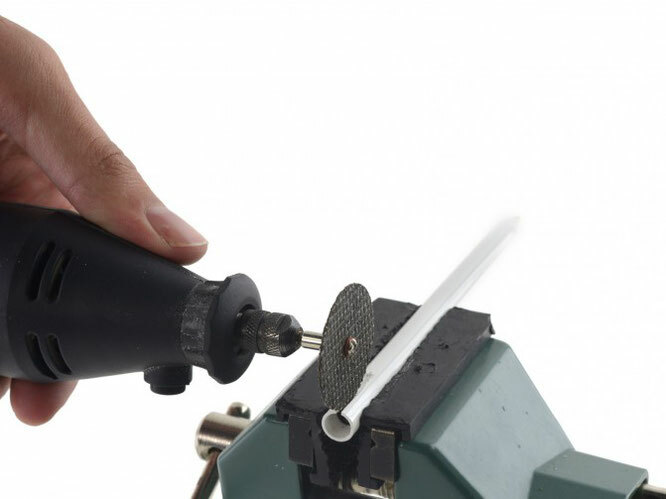 The subsequent stage of disassembly - the opening of a solid plastic case - required the use of heavy artillery in the form of a manual disk mini saw. 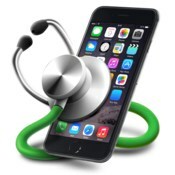 Get the "stuffing" from a metal case cylindrical, hiding under a plastic casing, succeeded after removing a three-point screw, like Apple Watch. The efforts and "prayers" of specialists were not in vain - the reward in the form of an antenna and a battery, and not a graphite rod, as some might have thought, were waiting for them immediately on the other side of the metal layer. A tiny battery is characterized by a voltage of 3.82 V and a capacity of 0.329 W ∙ h. It is able to store only 5% of the battery power of the iPhone 6s. 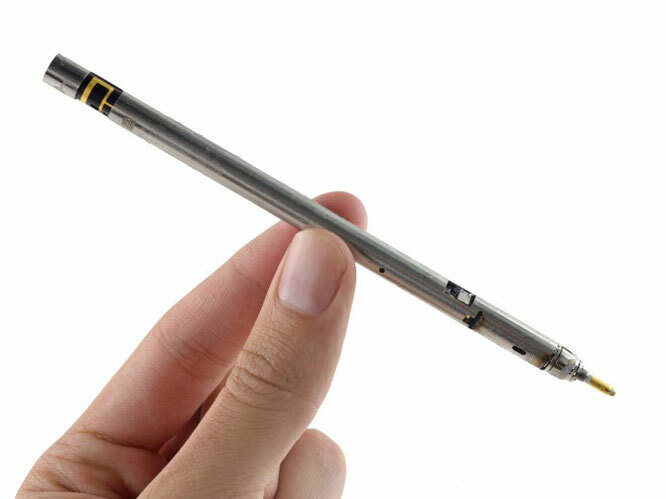 In comparison, Microsoft Surface Pen uses replaceable batteries such as AAAA, whose capacity, as a rule, is within 0.4-0.9 W ∙ h.
On a miniature PCB, you can find an ultra-efficient 32-bit Cortex-M3 MCU, ST Microelectronics AS5C Y533, Cambridge Silicon Radio (Qualcomm) CSR1012A05 (Bluetooth) and other chips. I managed to reach even the tip of the pen to find the magic sensor. However, the chip with the nomenclature number 8529043 343S0008-A1 can hardly say much. 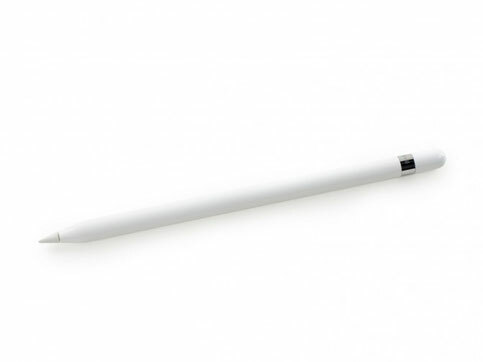 In the end, the digital pen of Apple Pencil earned as much as one point out of ten possible (the maximum estimate corresponds to the maximum maintainability). 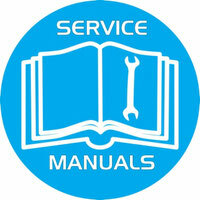 The advantage of the device is only one - the tip and cap can easily be replaced (and thanks for that). As for the lost points, they were taken for disassembling the device or it is impossible to replace the battery without damage.